The following on court conundrums and field features inspire at least one of the previous reactions. Nobody can deny that they are all unorthodox, yet whether they are cool or not is absolutely debatable. So I shall decide it now, once and for all. Dope (It’s cool and I like it) or Nope (boooo it’s lame)? At first, the right field wall looks absolutely normal. Nothing to see here, time to move on. 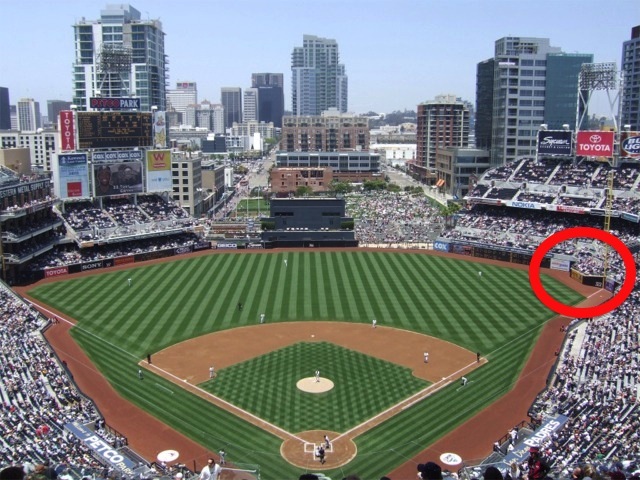 And then you notice that the home of the San Diego Padres has huge “bum bump” in its right field wall. A sore thumb sticks out less. What the hell is that? That, is a random box situated in play. A random box that makes no sense. Whose idea was this? It wouldn’t be that bad if they put in foul territory. Or if it ended out of play. 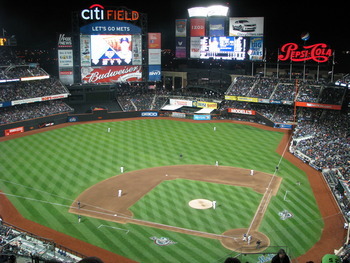 Citi Field in New York has a similar short porch type fence. But their wall ends with fair territory, not BEFORE it. What Citi Field has is a short porch. What PETCO has is a short in the mind of whatever knucklehead robot architect who thought adding a random mosquito bite in fair territory was a even a decent idea. As you can see perfectly from a bird’s eye view, the Bradley Center floor has two darker wood grain M’s decorating each half-court. This is a tribute to earlier era of Milwaukee basketball, and a cool way to spice up one of the NBA’s more monotonous franchises. 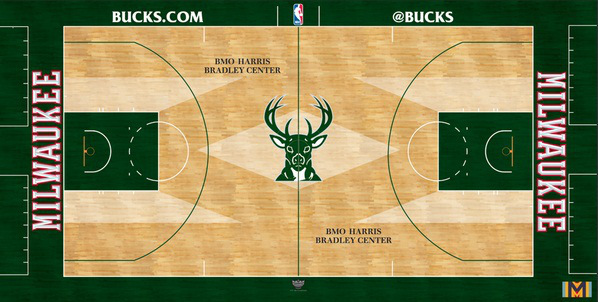 The M’s frame the buck at center court and balance the perpendicular “Milwaukee” graphic on the baseline. 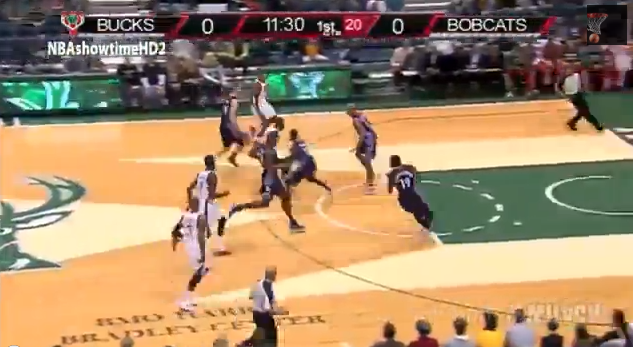 Also, the Bucks are the only team in the NBA to feature in court lettering of this type. Verdict: DOPE! Points for originality and fit. 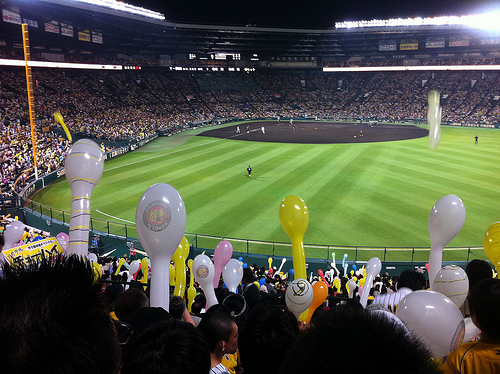 Koshien Stadium is the home of the Hanshin Tigers and one of the most legendary stadiums in all of Japan. It is home to Japan’s most prestigious baseball tournament, which is simply called “Koshien.” Every year, high school teams from all over the islands gather at Koshien to battle it out for Japanese baseball supremacy. The stadium has a full dirt, softball style infield. At the conclusion of their runs in the national tournament, high schoolers take a handful of the famous Koshien soil home with them. This soft surface has seen its share of talent (Japanese baseball legends Ichiro Suzuki, Hideki Matsui, Hideo Nomo and Kaz Matsui have all stepped on to its hallowed ground) since its opening in 1924. In 2010, Koshien was renovated to make sure future generations of Japanese ballplayers will continue the tradition of playing their national game on the Koshien soil. Verdict: DOPE. Tradition plus history wins every time. It’s pretty much the craziest stadium feature in all of professional sports. The over hanging videoboard in the new home of “America’s Team” takes that whole “everything is bigger in Texas” mantra to a whole new level. Each of the four sides of the center-hung LED display is the world’s largest: 72’ high by 160’ wide equaling 11,520 square feet per side or 23,040 square feet of sideline displays. It would take 4,920 52” flat panel TVs to equal the size. 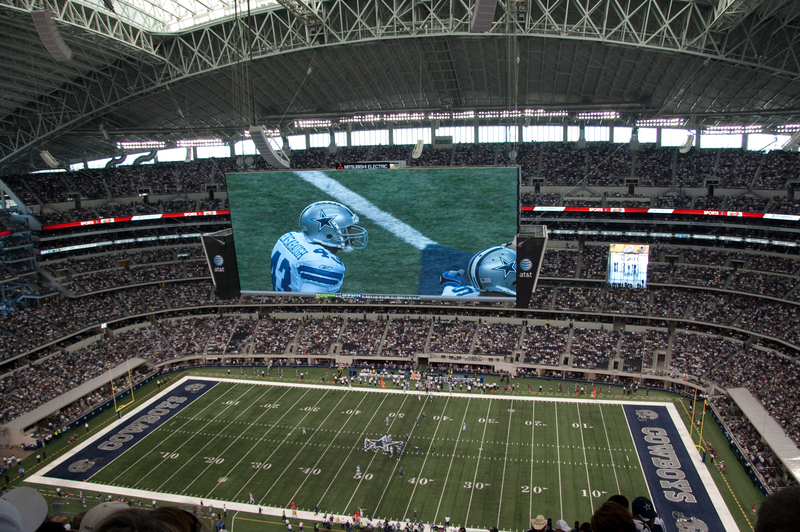 Each side consists of the first true 1080 HD display in an NFL stadium- 1080 true pixels in height at 20mm spacing and capable of displaying HDTV at 1920 x 1080 [16:9] resolution. “BUT WAIT” you might say, “THIS IS NOT AN ON FIELD FIELD FEATURE”. Au contraire mon frere, this monstrous monitor IS in play. Too “in play” if you ask me. Punts have hit the videoboard twice, once in 2009 and again in 2013. 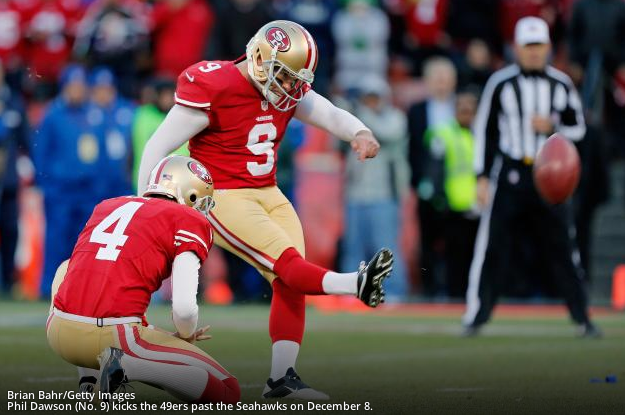 In the most recent instance, the Cowboys were forced to re-kick after their own punter’s boot found the screen. On the re-punt, Brandon Tate of the Cincinnati Bengals took a much lower punt back to the house for a touchdown. Verdict: NOPE WITH A POSSIBLE DOPE. All you have to do is move the screen out of punter range. Great idea, but it shouldn’t interfere with the game. After all, THAT is what fans come to watch. Oh, Texas (sigh). Good god is this stupid. Not only do they have a random hill in center field, but an exposed flagpole is just hanging out there in the left third. 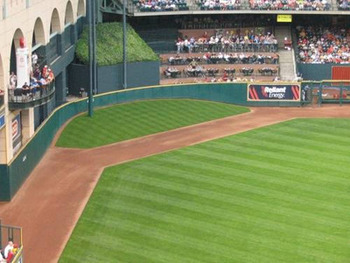 Tal’s Hill (named for former team president Tal Smith), is supposedly a nod to the old Yankee Stadium (which originally had an exposed flagpole) and to Crosley Field (the former home of the Cincinnati Reds had a hill in LF). Both have those parks have been destroyed, and Yankee Stadium moved the flagpole out of play in 1974. Just as we did to these elderly stadiums, we should take a wrecking ball to this ridiculous hill. If you’re going to make a tribute to old stadiums, do it better than this. 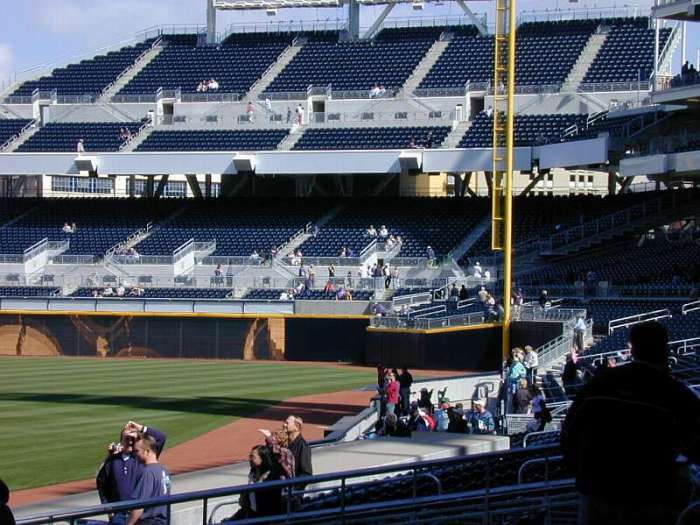 Arizona’s mound-to-plate path, the large grandstands in Cleveland, and brick at Baltimore’s Camden Yards and San Francisco’s AT&T Park are tasteful adaptations of classic ballpark style. This is nothing new for Isaiah Thomas. These new guards, with their height advantages and impressive pedigrees might intimidate or hurt the ego of Isaiah Thomas… if only he hadn’t faced this before. A look into the hustlin’ husky’s past reveals why this is just another conquerable challenge for IT. During his freshman year at the University of Washington, Thomas battled for time in the backcourt with sophomore Venoy Overton and senior Justin Dentmon. He started at the point and rode averages of 15.4 points and 2.6 assists to a Pac-10 Championship and Freshman of the Year honors. As a junior, the Huskies star started over Overton and (now Toronto Raptors guard) Terrence Ross and crushed the Pac-10 as the Huskies leading scorer. As if that wasn’t enough competition, Mr. Irrelevant has butted heads with Aaron Brooks, Tyreke Evans, Marcus Thornton, and Jimmer Fredette for NBA minutes in his first two years. His hard-nosed and fearless play has made him a fan favorite, along with the dignity and respect he handles his off the court life. In multiple situations with varying degrees of difficulty and maturity, Thomas has shown that competition raises his game. He takes on all comers, and that’s what makes him uniquely qualified for his next challenge in the NBA: Backing up Greivis Vasquez and becoming the Kings 6th man. 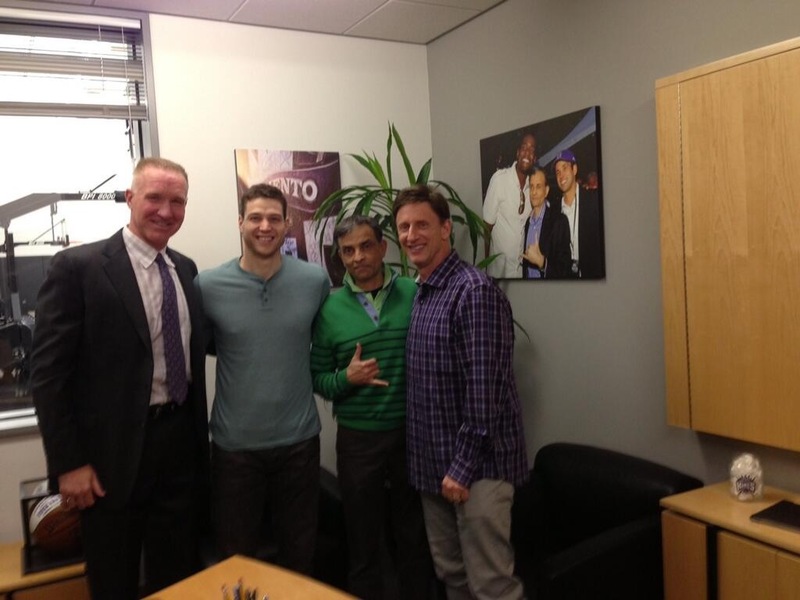 As I’m sure you all know, the Kings acquired the 6-foot-6 Venezuelan in a sign and trade for Tyreke Evans (See: http://kingsscoop.com/2013/07/the-intangibles-vasquez-will-bring-to-sacramento/). Vazquez, who posted averages of over 13.9 points and nine assists last season, figures to be the starting point guard for Sacramento. I expect Vasquez to play well this season and take his game to new heights. This is because of Isaiah Thomas. Vasquez will have to play at a high level, because Thomas (and rookie Ray McCallum) will be nipping at his heels for playing time. The ideal scenario for the Kings would mirror the rotation Rick Adelman used in the early 2000’s. Mike Bibby would start, and Bobby Jackson would come off the bench and play big minutes as well. Though Bibby started, he only played about 5 minutes per game more than Jackson. This balance in minutes would bode well for both the play and development (both players have less than three full years in the league) of Vasquez and Thomas. On a more macro level, how would any of us react to our organization bringing in a new person to specifically replace us? Because they believe that this new person can do our job better. 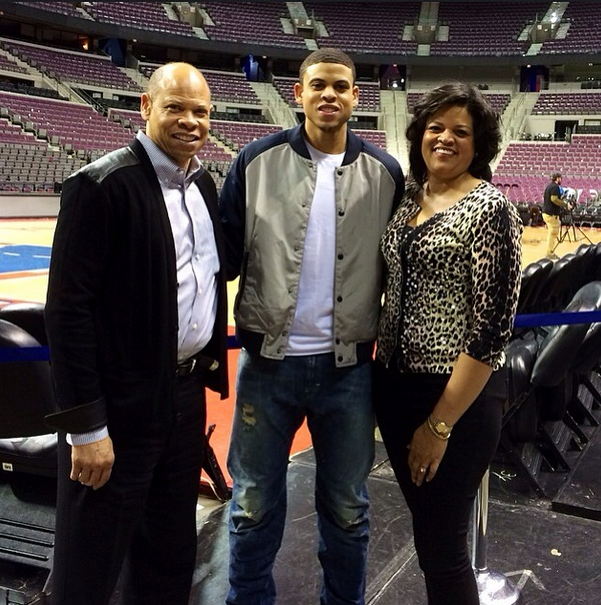 While that is certainly the harsh reality of professional sports, Thomas’ maturity and attitude are certainly admirable, especially when we consider that he is 24-years-old. 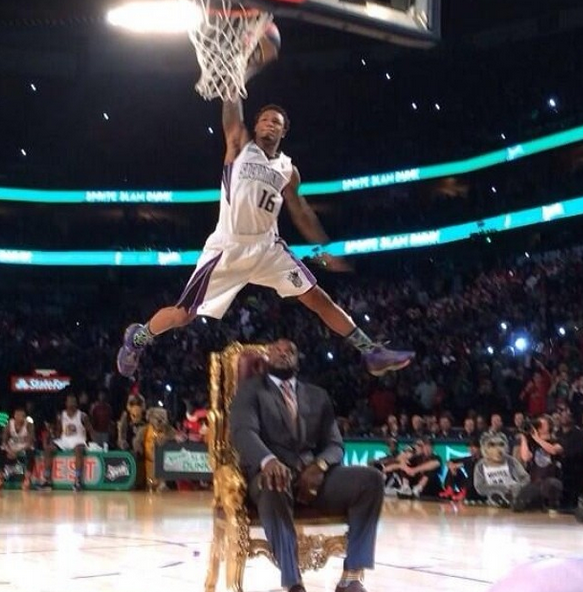 So what do you think Kings fans? Bobby Jackson 2.0? If you visit the Sacramento Kings “Youtube” channel, as most Kings fans of my age frequently do, you will notice the different playlists. These playlists (collections of videos) are categorized into themes or titles including “Top Plays”, “Sacramento Kings Dancer Profiles”, “Features”, and “Game Highlights”. One playlist is called “Popular Uploads”. 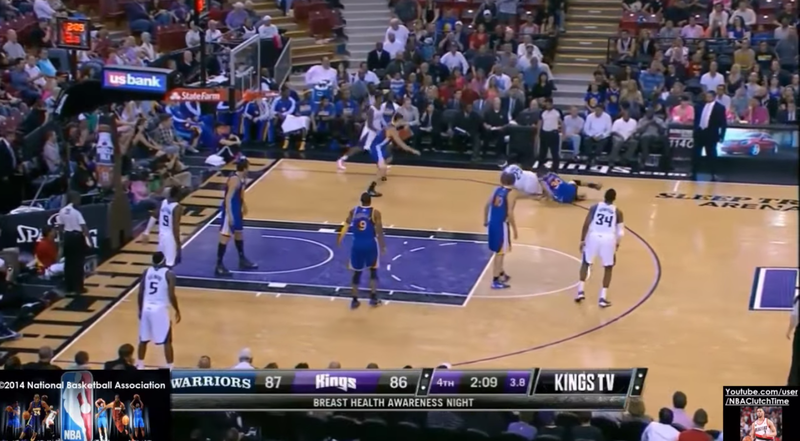 This section is a collection of what Kings fans have viewed the most on Youtube. And Tyreke Evans, the newest New Orleans Pelican, dominates this playlist. 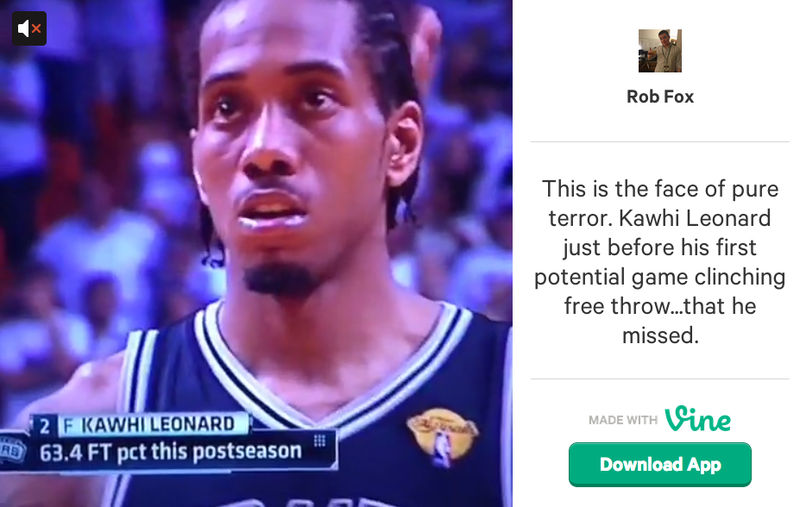 Reke is prominently featured in 7 of the top 12 videos. 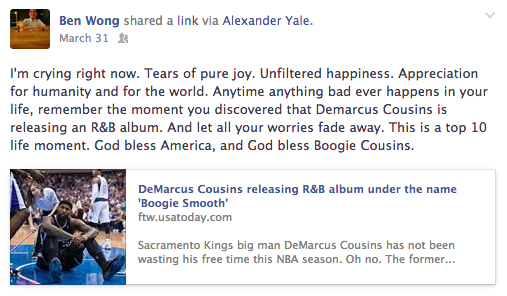 This is why I believe that many Kings fans had such a visceral and harsh reaction to yesterday’s news. Since the Kings drafted him 4th overall in 2009 (an unpopular pick at the time), Tyreke has been the face of this franchise. It is definitely not something the soft spoken 23 year old chose, but a spotlight warranted by a high draft position, a lack of talent around him, and the remarkable “20-5-5” rookie season. While watching Tyreke acrobatically layup to these legendary averages was undoubtably one of the better experience I’ve had watching recent Kings basketball, the season hurt Reke’s career by raising everyone’s expectations. As we heard our prematurely appointed franchise savior’s name mentioned with some of the greatest to every play the game, I think we all forgot that this was a 20 year old kid. That he didn’t have an outside shot yet. That he shot only 75% from the free throw line that year. Being named MVP of the Rookie Challenge at All-Star Weekend didn’t exactly dim the bright lights. Nor did winning Rookie of the Year, while no doubt a great accomplishment. The multiple coaching changes, poor leadership in the front office, and crumbling ownership created an environment far less than ideal for breeding a superstar. The fact is, we put too much on Tyreke too early. Personally, I feel like I’ve watched Tyreke for a very long time. I feel like I know his tendencies. I am prepared for the spin move in the paint that leads to a fancy flip off the glass. 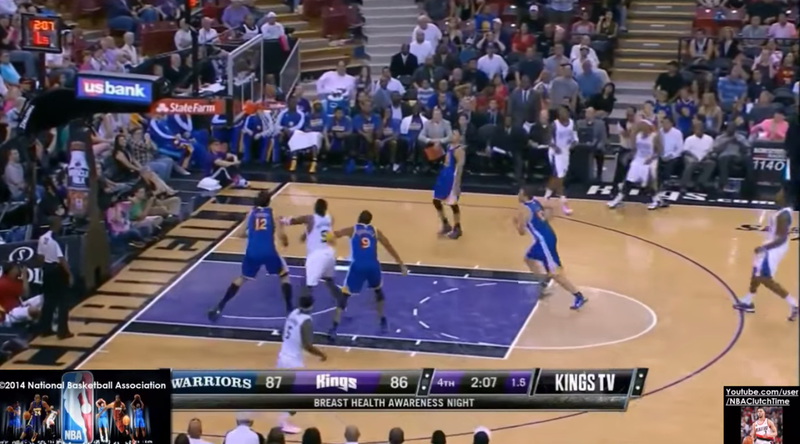 I don’t even groan anymore when his midrange jumper barely finds room. I feel like I’ve seen him drive bullheaded into the paint a million times, like I’ve seen it all. The fact is, he’s been a King for 4 years. He’s played in only 257 games. 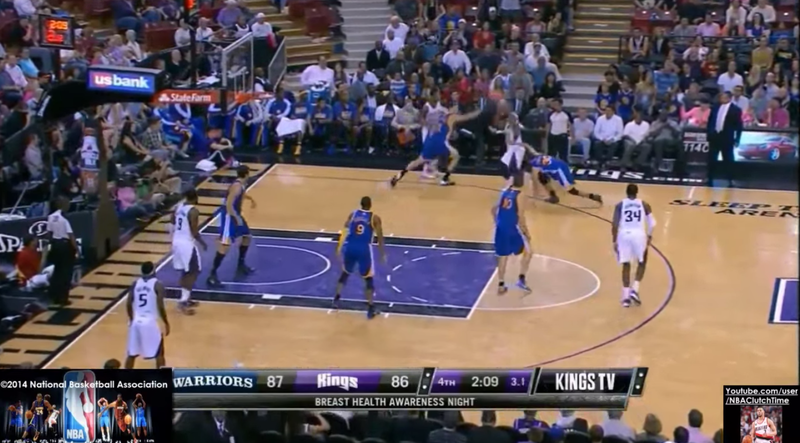 There is still a lot of basketball out there for Tyreke Evans. He’s just getting started. Realistically, we shouldn’t feel the connection to Evans that we do. His assists per game and points per game have decreased every year he’s been in the NBA. His free throw shooting has not improved. He’s 28% from three point range for his career and his rebounds per game have descended as well. In terms of Win Shares, a metric that measures the average number of wins a player produces for his team, Tyreke’s totals stack up next to second rate players such as Jodie Meeks, Rudy Fernandez, Luke Ridnour, and Rodney Stuckey. From a statistical standpoint, Tyreke Evans is a basic starting guard in the NBA. He’s not a terrible player by any means but he cannot be counted on as the leader of a legitimate playoff team. If New Orleans wants to pull themselves from the depths and fly to the top of the Eastern Conference, Tyreke Evans cannot be their alpha Pelican. So why then do we love Tyreke Evans so much? Why did the news of his departure carry so much weight? The Kings chose to not overpay him. They decided instead, correctly in my opinion, to acquire as much talent as possible for him (a starting point guard in Greivis Vasquez), and create more room for Ben McLemore to grow and prosper. Because Tyreke Evans is a highlight man. 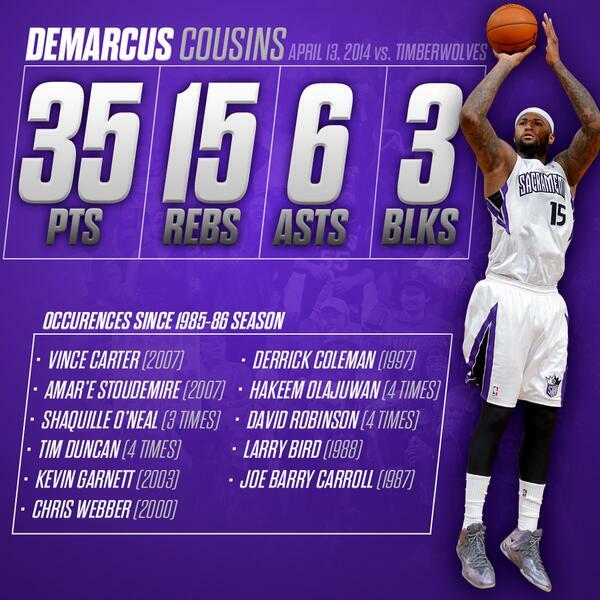 He is responsible for arguably the best Kings moment of the last 8 years, destroyed Gary Neal on a fast break dunk, turns layups in graceful moments of artistry, and plays the game with passion and emotion (and not the same kind of emotion that Demarcus Cousins plays with… because then I wouldn’t be writing this). As I mentioned earlier, Tyreke suited up 257 times for the Kings over four years. You know who else played in over 250 games for the Kings in his first four seasons? Francisco Garcia. Do you remember anything from his “reign” as a King? Of course not. 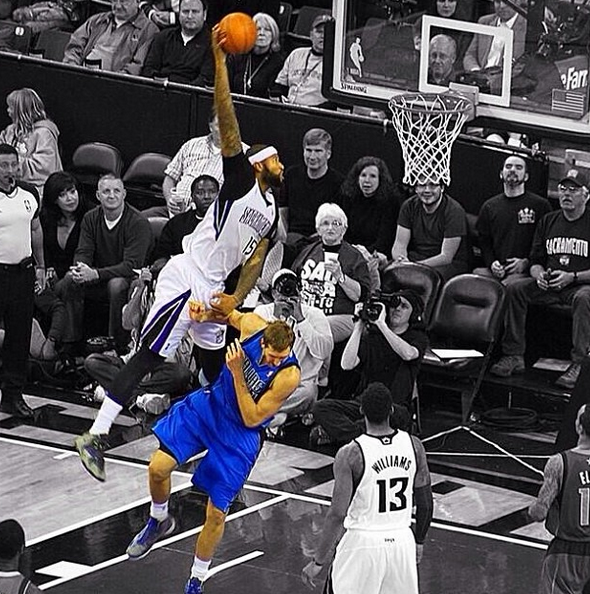 But Tyreke will live on. Because Tyreke brings the highlights. 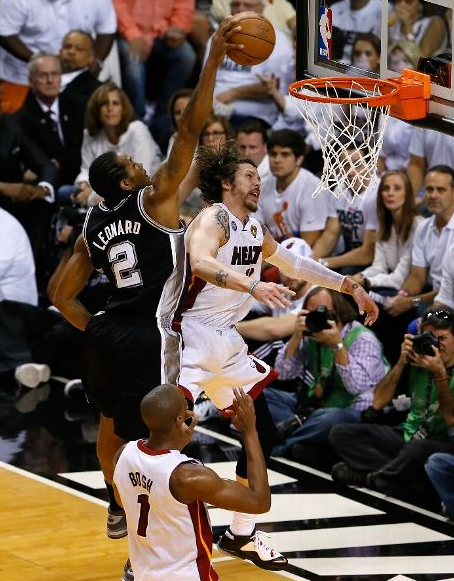 I have watched his 64 foot buzzer beater against Memphis countless times. His joyful jump onto the scorer’s table, Donte Greene’s early celebration, and Pooh Jeter excited scurrying and gleeful leaps onto teammates’ shoulders will forever be etched in my mind. 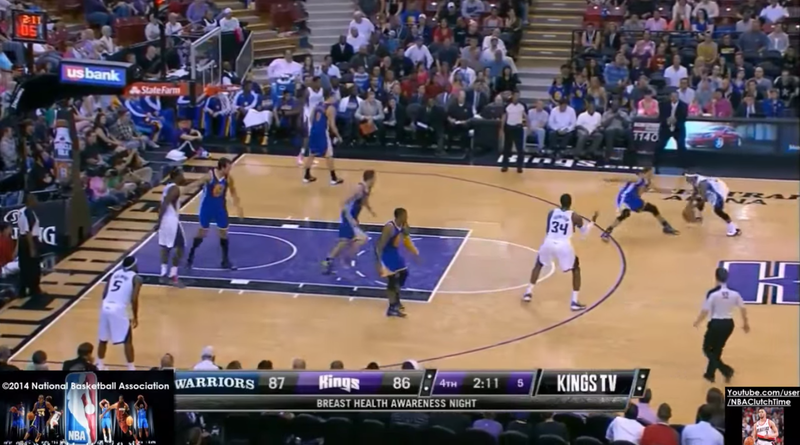 I’ll never forget when Reke and former King Omri Casspi took over the 2010 Rookie Challenge with a Showtimesque fast break. Reke is, and will forever be, a talented player who produces “oohs” and “ahhs”. So do yourselves a favor. 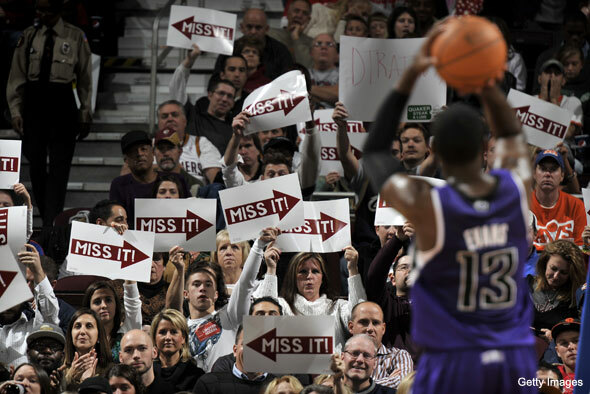 Go watch Tyreke do his thing: http://www.youtube.com/user/kingsflix/videos?sort=p&tag_id=&shelf_index=4&view=0. 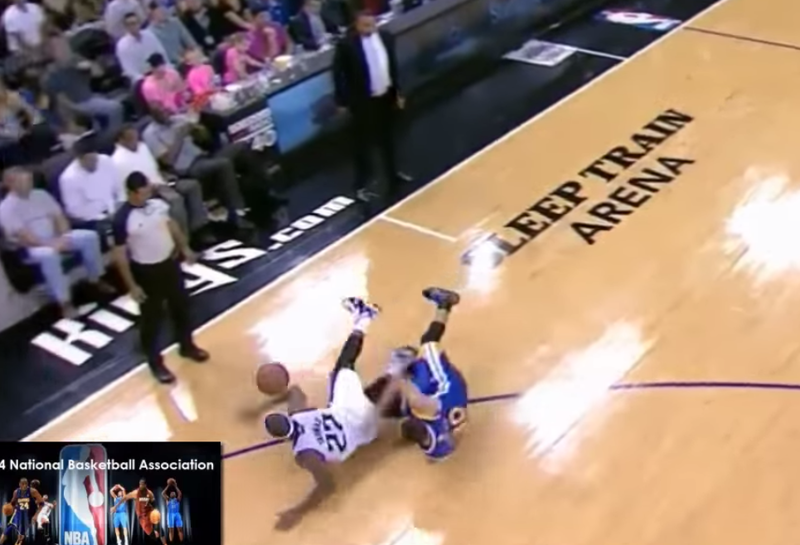 Enjoy the high flying hoops and ankle breaking crossovers.